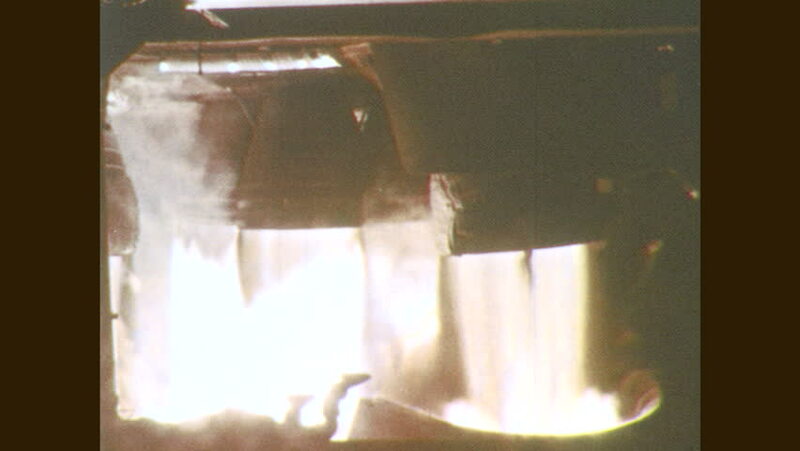 1960s: Rocket engines fire. Rocket booster engine fires from launch pad. hd00:52CIRCA 1969 - NASA's moon landing leads to a new stage of scientific discovery (narrated in 1976). hd00:211970s: UNITED STATES: riders race motorbikes around track in dust. Man rides motorbike through mud. hd00:18UNITED STATES 1960s: Rocket launching / Rocket lowers, explodes / View of explosion on launch site / High angle view, men organize wreckage / Man looks through wreckage. hd00:241970s: log knocks into building. second story porch collapses off house. apartment buildings, small boys sit on grass. hd00:17UNITED STATES: 1950s: washed sheets on line. Shadows behind washing.